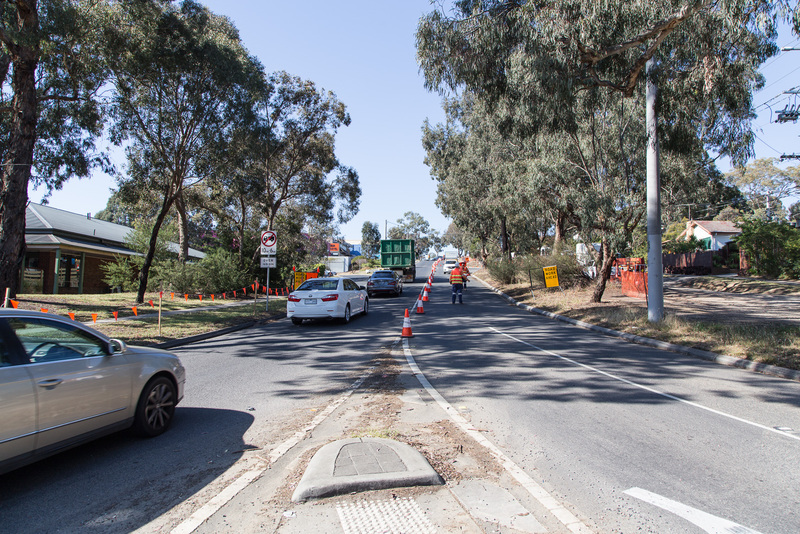 November | 2017 | Eltham District Historical Society Inc.
#ThrowbackThursday – Today we time travel back to the early 1950s to Main Road, Eltham, opposite the Railway Station. Specifically we are visiting the Eltham Hardware & Timber Company operated by J.N. Burgoyne and Sons. 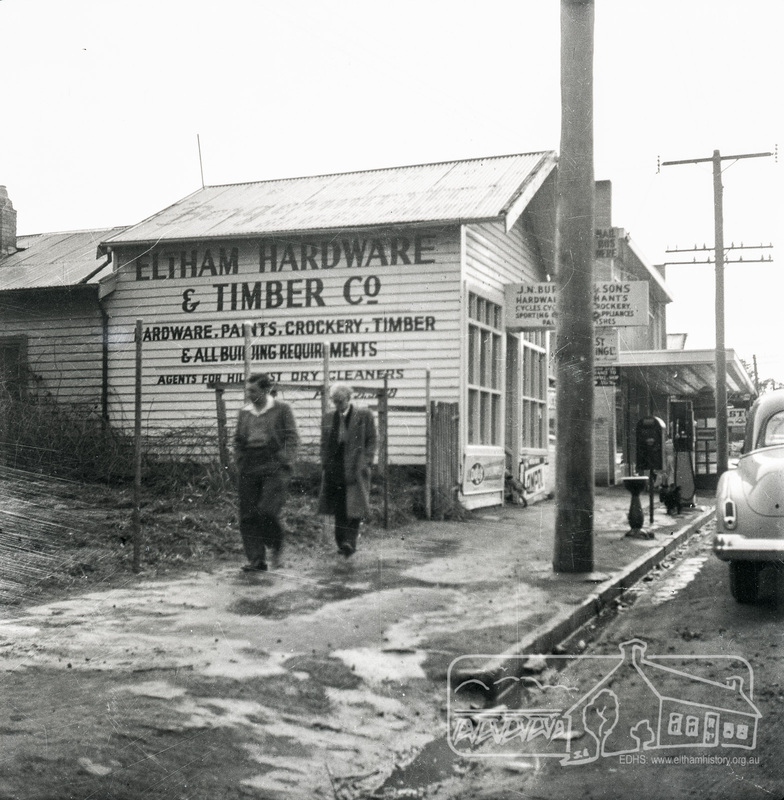 The Eltham Hardware and Timber Company first opened on Main Road opposite the Railway Station around late 1922. 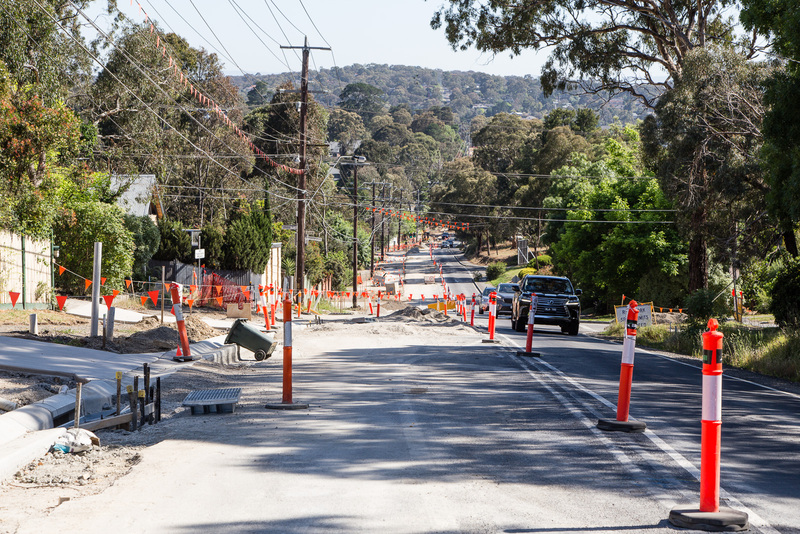 An advertisement placed in the Hurstbridge Advertiser advised that the Hardware Store had just opened with a varied stock of Saws, Hammers, Nails, Shovels, Screw Drivers, and every article required in a house or on a farm. People were also encouraged to try their Jams, Pickles, Sauces, Cups and Saucers, etc. (1). 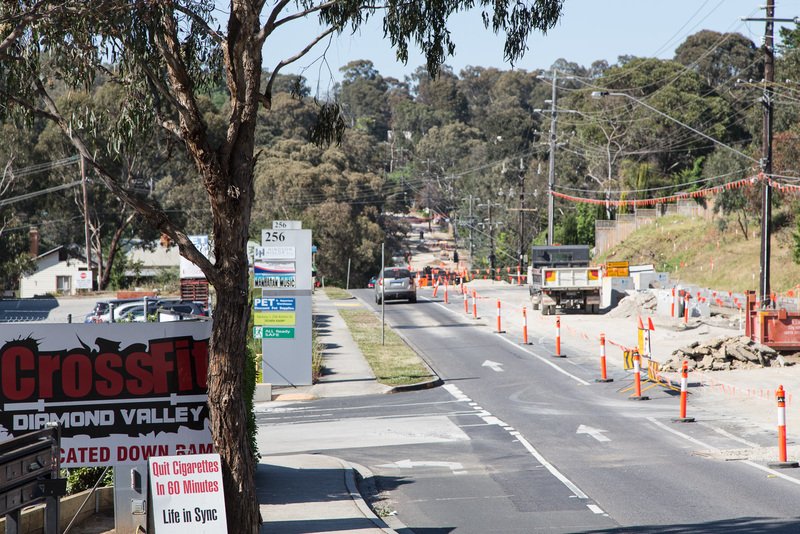 ELTHAM HARDWARE STORE, and asked for the continued support of the district. He also noted that all kinds of Plumbing work was done. Walker remained the proprietor of the Hardware Store for many years regularly advertising its services and wares up until at least 1941. The trail goes a bit quiet then but he does appear in the 1944 Electoral Roll listed as a Plumber, of Main Street, Eltham. However he is not listed in the 1949 Electoral Roll but his son, Thomas Roy Walker, also a plumber of Main Road is listed. Thomas had been on active duty overseas during the Second World War and returned at the end of 1945. It is assumed that William died sometime between 1945 and 1949. 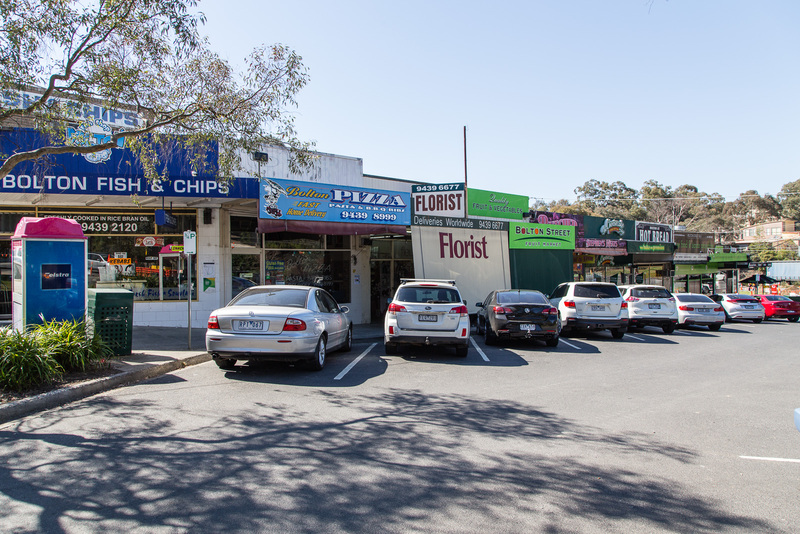 FREEHOLD SHOP and 4-rm Dwelling and Hardware and General Agency Business, Including Petrol Reseller’s Licence, as a Going Concern. Also Freehold Lock-up Shop Adjoining. Let on a Weekly Tenancy. Land 50 x 150. 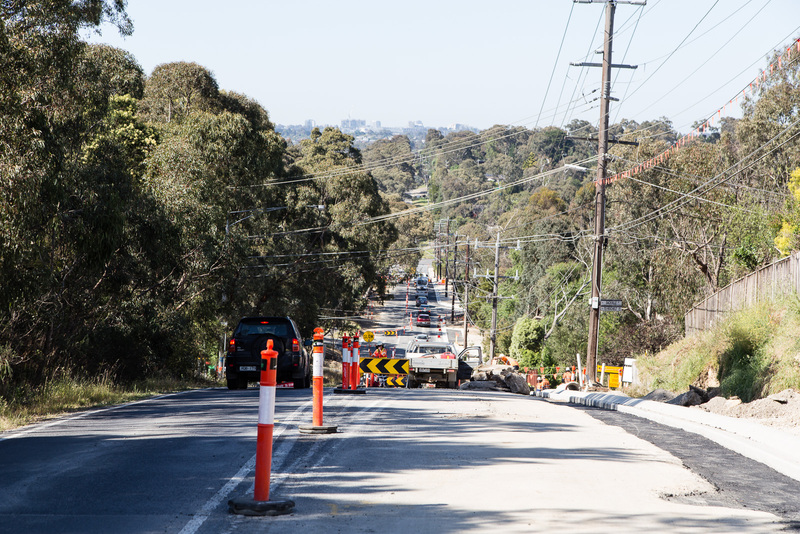 This Affords Prospective Purchasers an Unequalled Opportunity to Secure a Going Concern with Unlimited Scope. 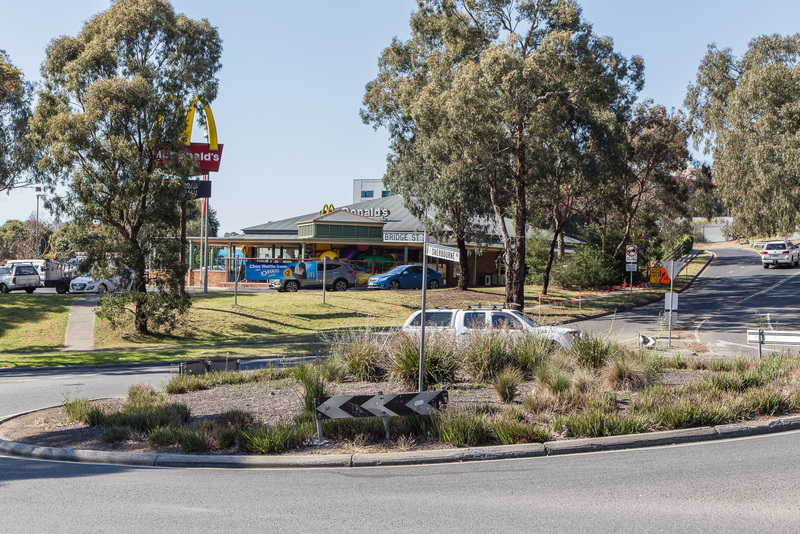 Particularly as the property is Situate on a Main Arterial Road and the Petrol Sales Can be Vastly Improved with a Minimum of Expense. Trade Figures, Title Parts, &c. from the Auctioneers. It is presumed that this is when J.N. Burgoyne and Sons took over the business. It would have been around this time the picture of the store was taken for only three years later, in October 1953, the business and dwelling was again put up for sale, this time by Trebilcock Bros, in two separate lots (3). 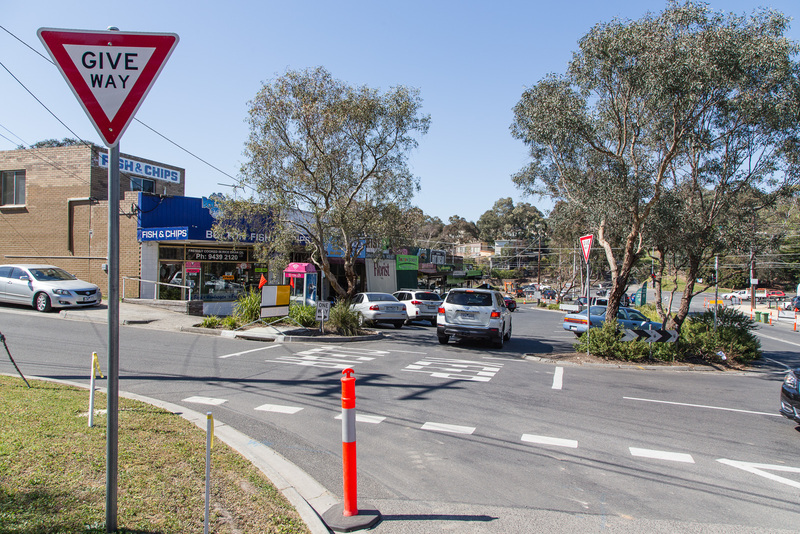 Coincidentally, the Hardware Store was taken over by Richard Phillip Trebilcock, an electrical engineer from Mayona Road, Montmorency (4). SAT., OCTOBER 24. At 3 p.m.
To Be Sold In Separate Lots. LOT 1. 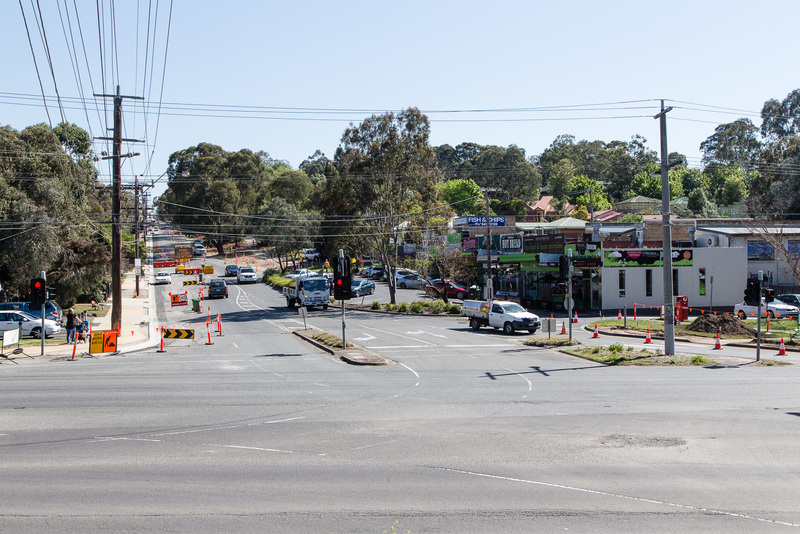 — ELTHAM HARDWARE AND TIMBER CO.
Freehold and Property, Plant, Fittings and Business; Plus Stock at Valuation. To be Sold as a Going Concern. THE FREEHOLD PROPERTY Comprises Large Brick and Timber Shop. Well Fitted. Has Good Light. Comfortable 3-Room Dwelling and Detached Bungalow, H.W.S., Phone, Garage and Outbuildings. Situate on Large Allotment, 50 Ft. x 150 Ft. Aprox. 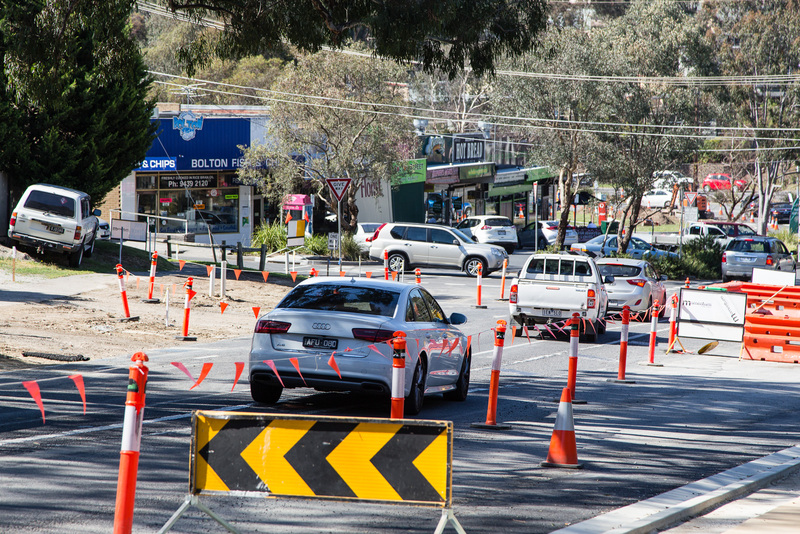 THE BUSINESS: Flourishing Hardware and Builders’ Supplies, Crockery, Glassware and Gifts, Dry Cleaning Agency and Petrol Reseller Licence (1 Bowser Installed), Oil Storage. Annual Turnover Aprox. £12,000. Audited Figures Available, Old-established Business Comprehensive Stock is Good, Clean and Saleable (Value Approx. £4000). TERMS: £1000 Deposit, Balance 30 Days. VACANT POSSESSION. LOT 2. — Superb Shop Sites. Adjoining the Above Property. Land 58 Ft. x 150 Ft. (Approx.). Erected on Land Is Old Style 4-r Timber Dwelling, Set Well Back from Footpath. 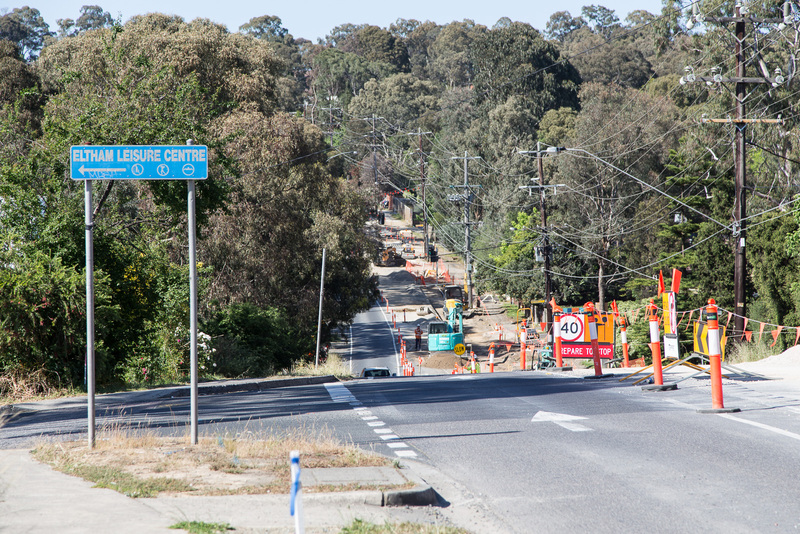 Leaving Ample Apace to erect Shops. Also Small Shop Let as Agent’s Office. To Be Sold Subject to Existing Tenancies, Gross Rentals £106 12/ Per Annum. Terms: £1000 Deposit, Balance 30 days. Cor. 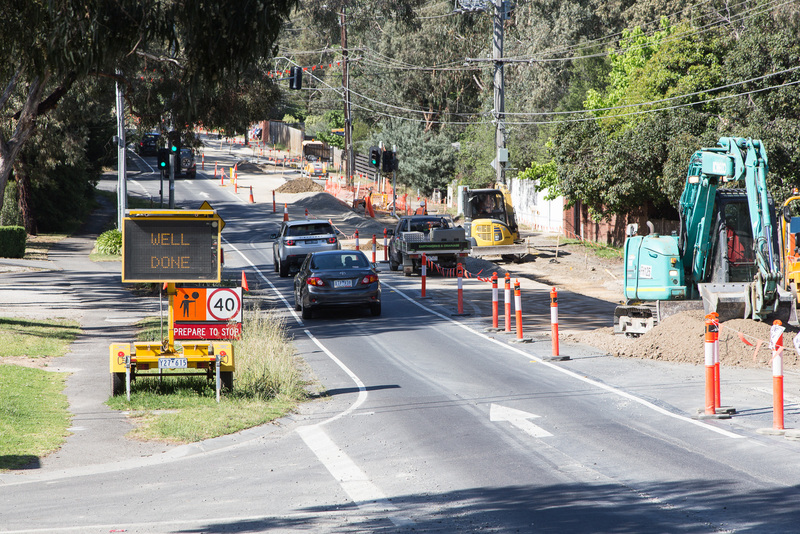 Collins and Elizabeth Street. 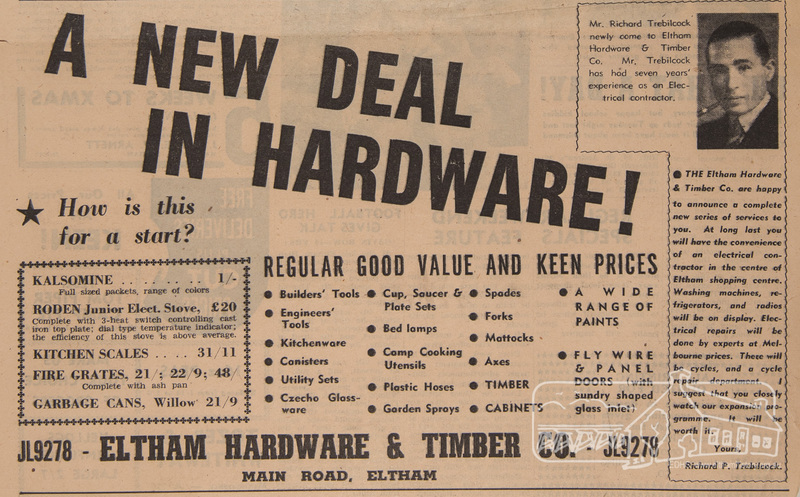 1953 ‘Advertising’, “A New Deal in Harware”, Diamond Valley Local, 24 November, p.2. 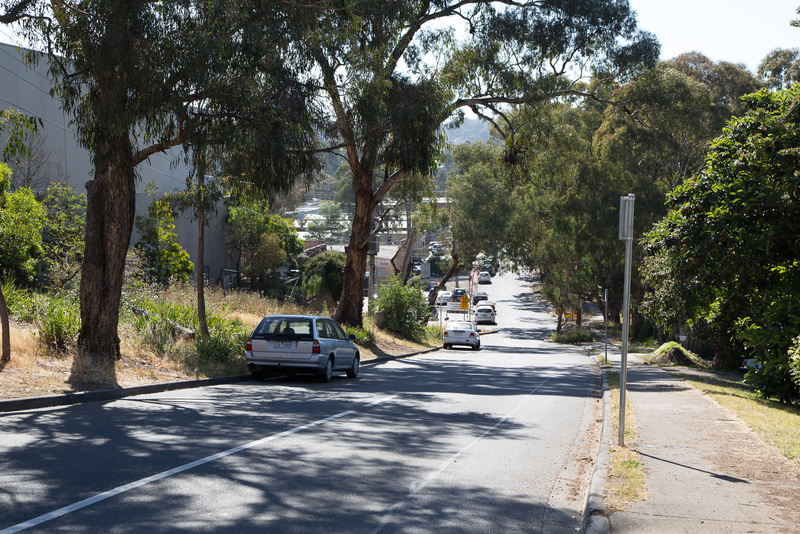 #ThrowbackThursday – Today we time travel back to around the 1950s to the corner of Brougham and Bolton streets where we find the property “Southernwood”. Built around 1891 it was originally owned by the Harbey family until purchased by the artist, Walter Withers in 1902. Withers added a studio to the property in 1903. The house was further modified in 1948 and remains essentially the same profile we see today. 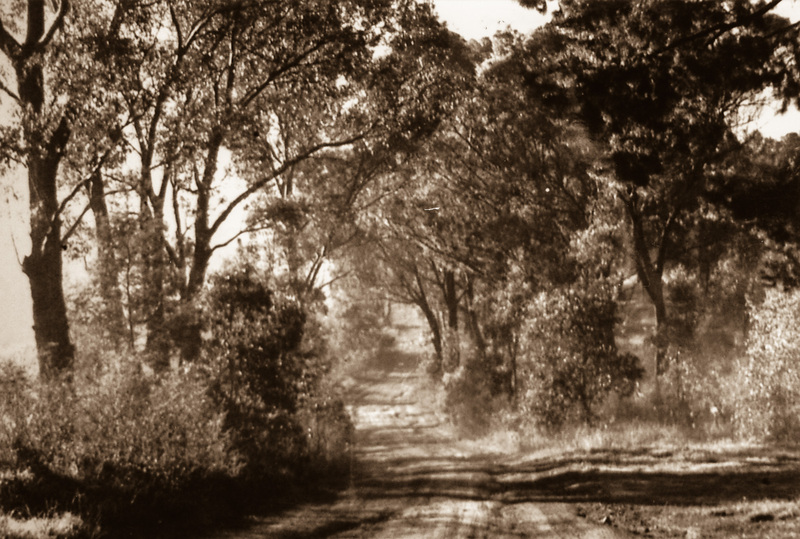 Contained within the Society’s collection are two undated photographs, one of Southernwood and another looking east down Brougham Street from Bolton street, adjacent to the home. 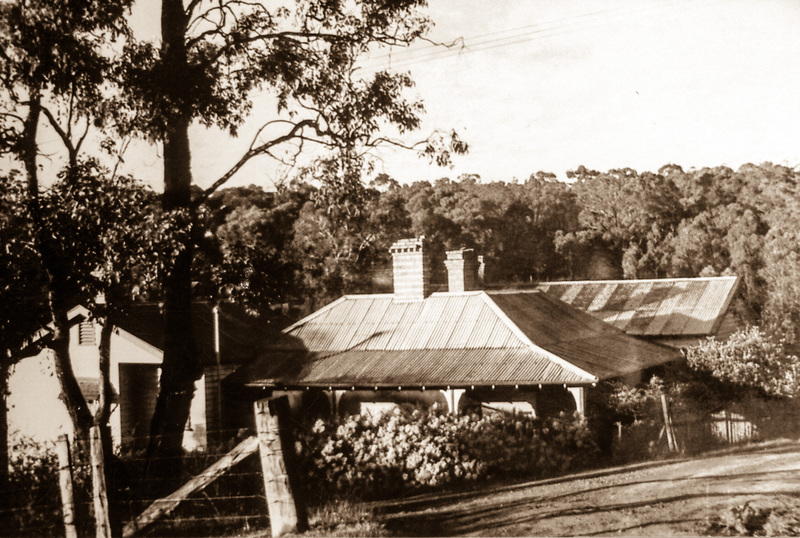 The image of the home appears to present its current profile so it reasonable to assume that both these images were taken post the 1948 additions, most likely in the 1950s. 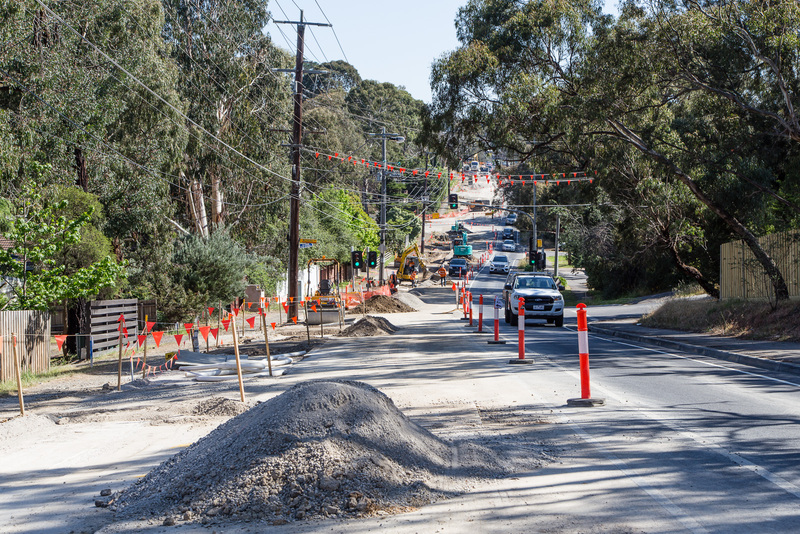 It is also noted both Brougham and Bolton streets remain unsealed at that time. 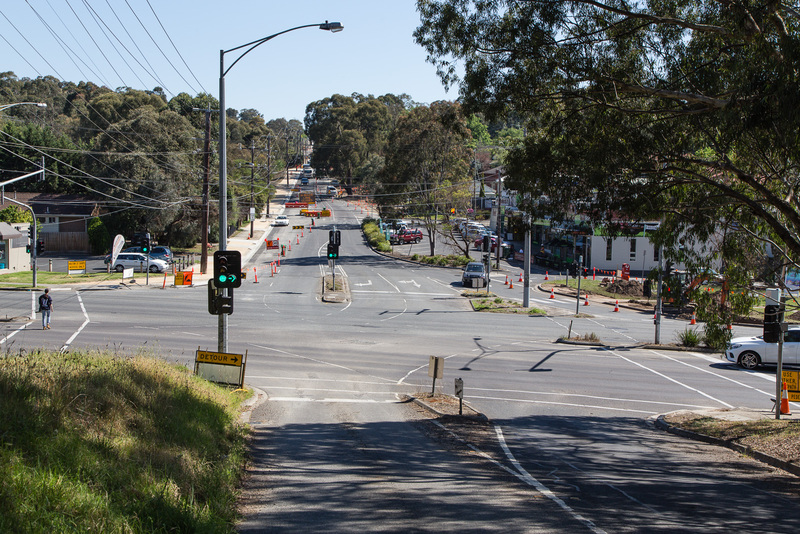 Of particular interest is the view looking down Brougham Street compared to today as it is apparent two of the trees present in the earlier image to the left of Brougham Street remain in place today. No doubt they probably greeted Walter Withers as he left his home and strolled down Brougham Street on his way to the railway station. What other stories could those trees tell us? At that time behind those trees was open fields, now an industrial estate. 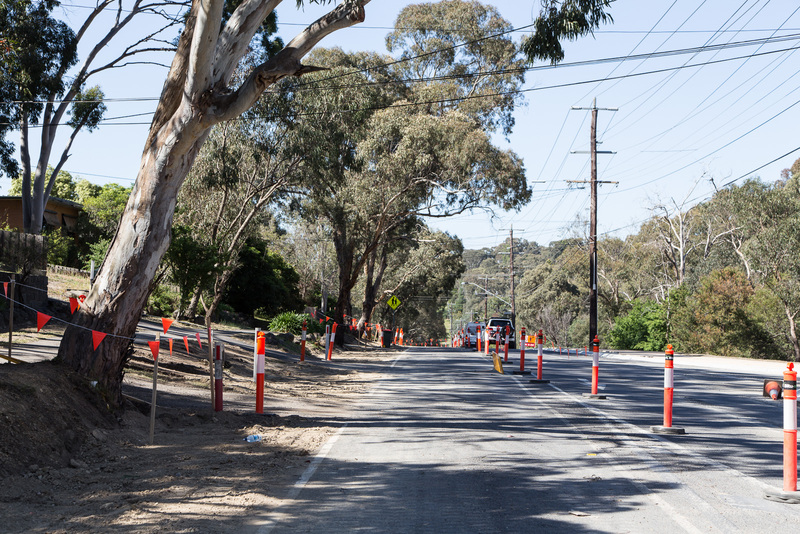 Let’s hope as progress continues its march that these trees remain as a link to our community’s heritage and days gone by. #ThrowbackThursday – Today we time travel back to around 1990 to the southern end of Bolton Street where we find the popular Bolton Street shops. At that time the shops consisted of Bolton Fish & Chips, Bolton Pizza & Pasta, Fleur de Feliss Florist, Bolton Street Fruit Market, Stephens Meats, Ian Reid Real Estate, Bolton Street Hot Bread Kitchen, Welcome Mart, Milk Bar and Sub-Newsagency. Amazingly today, only three of those businesses have changed. 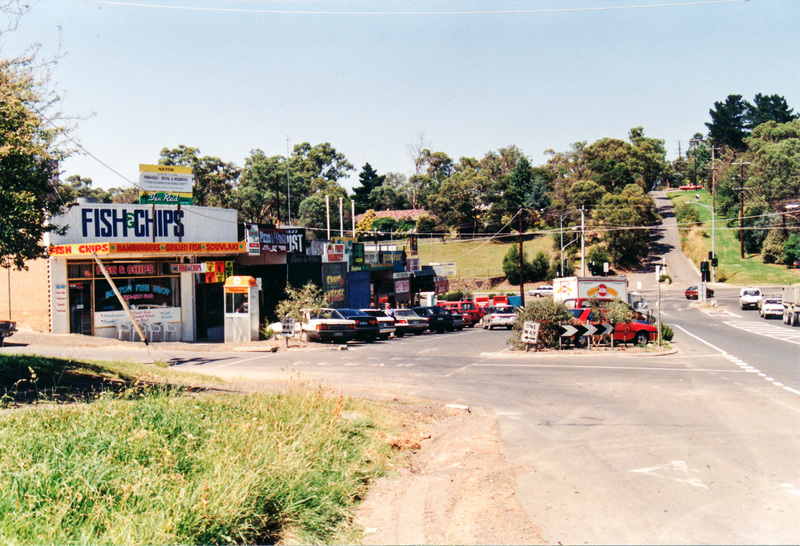 Ian Reid Real Estate is now the The Cheesecake Shop, the Welcome Mart is now Bolton Street Deli and the Milk Bar & Sub-Newsagency is now Charcoal Chicken @ Bolton. Do you have a favourite shop at Bolton Street? Seems like everyone does. 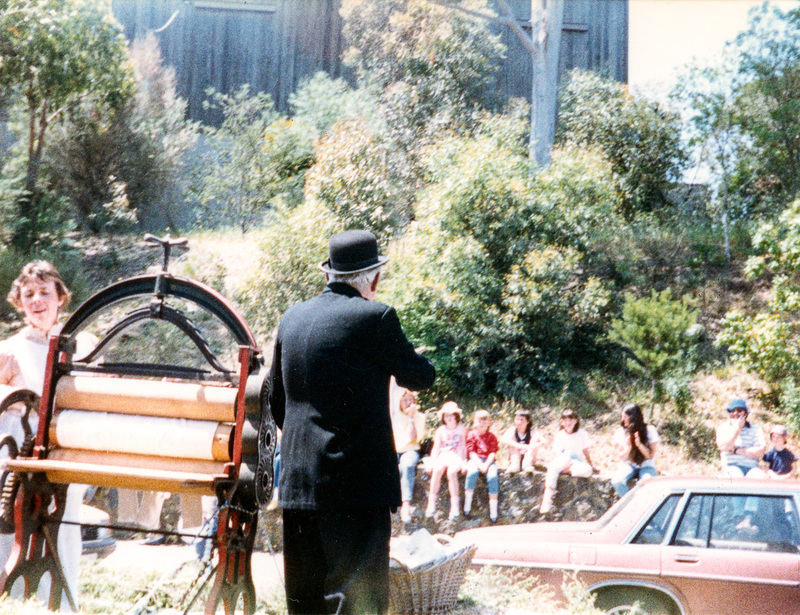 What is yours and do you have any good stories to share from earlier times? The building of the McDonalds Restaurant at the other end of Bolton Street in the late 1980s in the industrial estate was surrounded with controversy and protest but fast forward to today and it is a well accepted focal point within our community. 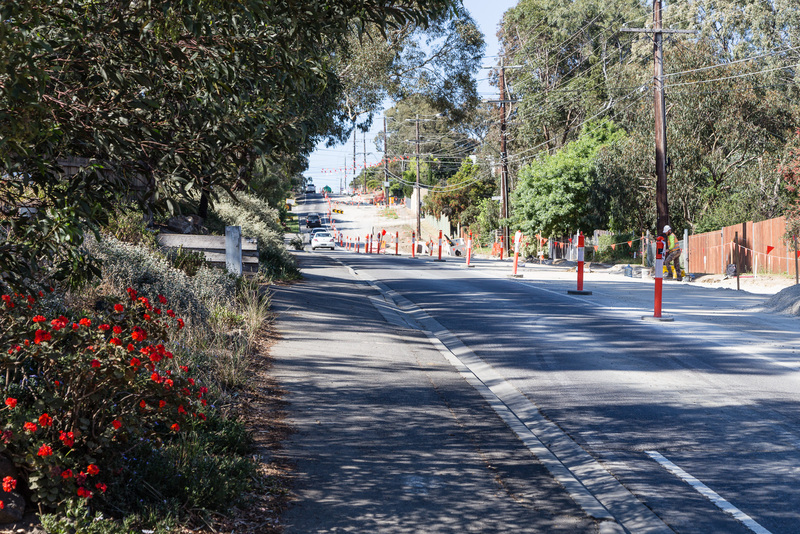 Likewise the Bolton Street upgrade is generating some discontent but more than likely in the future will also be seen as a vast improvement for residents with improved visual appeal, livability and road safety. Whilst the shops at either end of the street have essentially remained the same over this quarter of a century, history is happening before our eyes today in between and in ten years time we will struggle to remember what it was like. 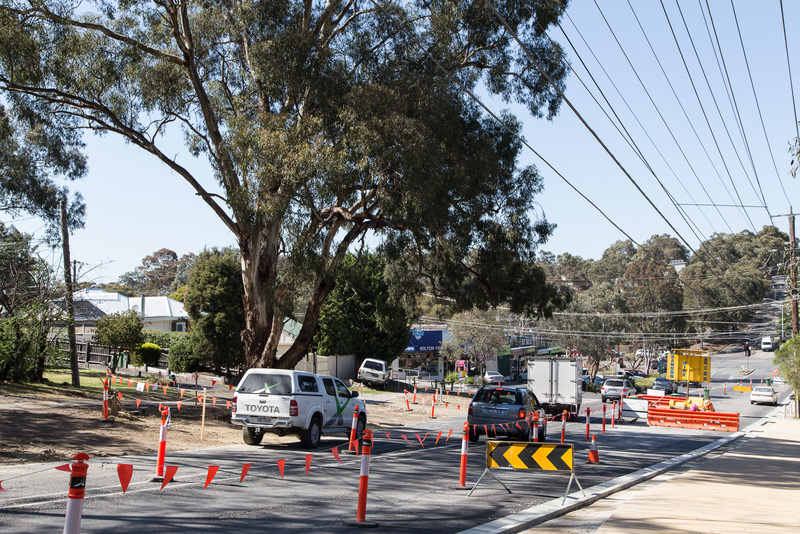 In recognition of this, EDHS is capturing a visual record of the changes starting with the northbound lane closure and we have included below a number of these images captured this week along Bolton Street from Bridge Street to Main Road. 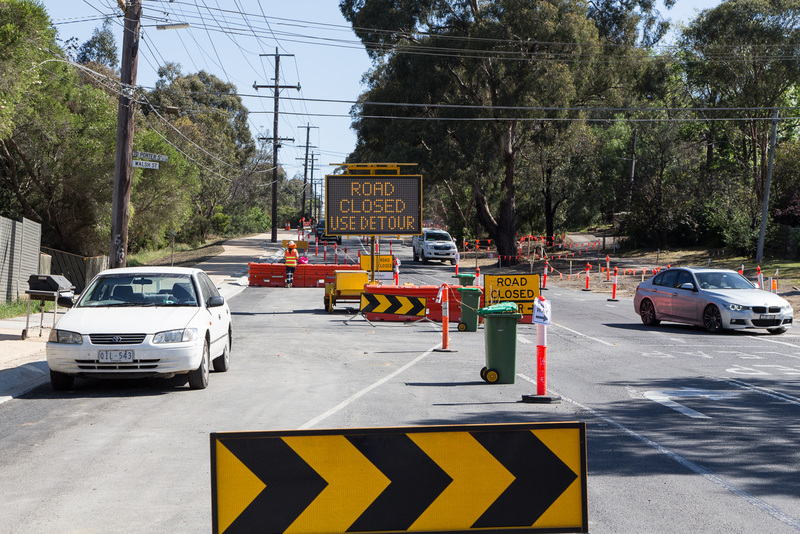 #ThrowbackThursday – This weekend brings us another exciting Rotary Eltham Festival. 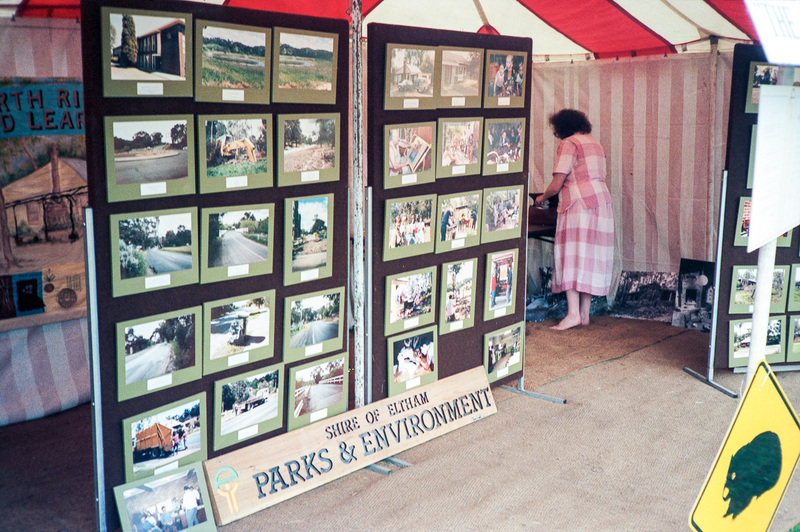 The first Eltham Community Festival was held in 1975 with great success but it was not always held at this time in late spring. 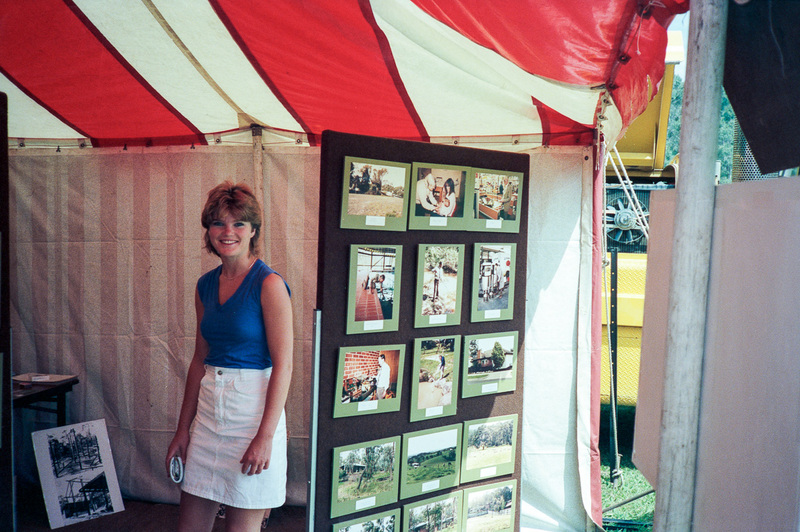 In the 1970s the festival was conducted over a ten day period held during August however in the early 1980s it was reduced to two or three days duration and shifted to mid-late October. From 1984 it moved to its more familiar spot around the second week of November where it has remained ever since. 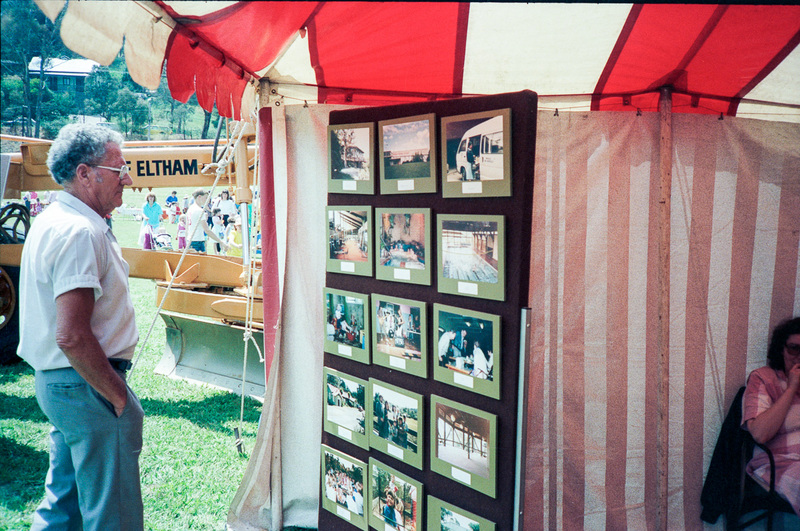 Up until the early 1990s a highlight of the festival was the Eltham Community Festival Parade which started towards the northern end of the shops, either from Youth Road or Cecil Street, then proceeded south along Main Road, finishing up either at Eltham Lower Park in the first years and later Eltham Common, or more recently Alistair Knox Park where many displays and stalls were set up. 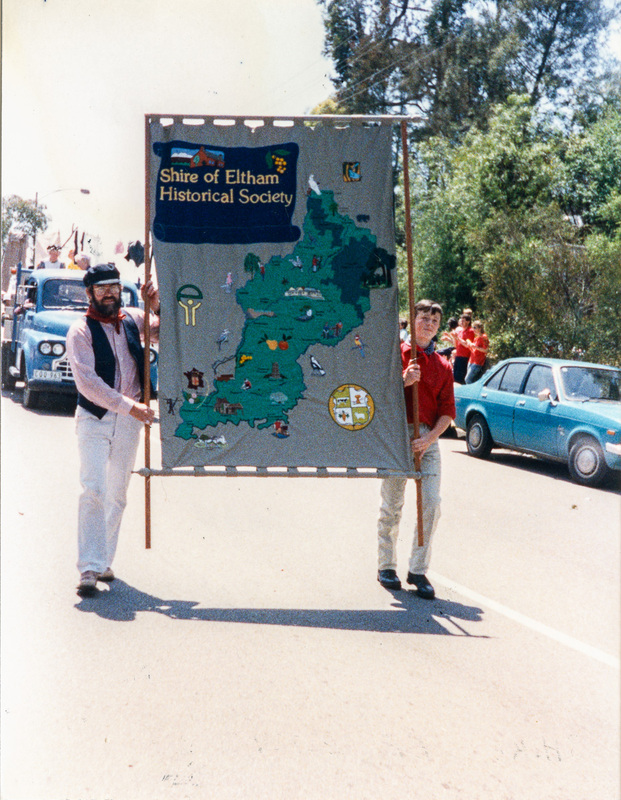 The Shire of Eltham Historical Society (as we were known prior to council amalgamations in 1995) first participated in the Parade in 1979 and was a regular entrant up to and including 1990. 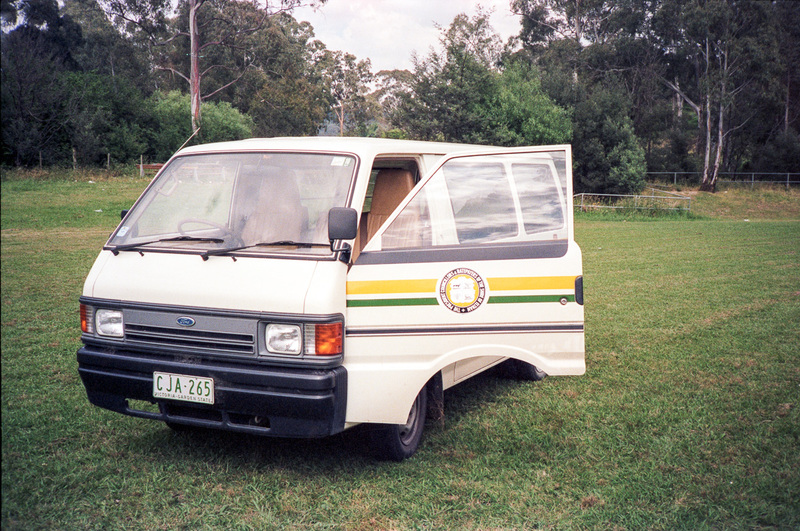 During those 12 years the Society won a number of awards including “Best Effort by Locals”, “Best Eltham Theme”, “Best Display” and in 1986 even took out the Grand Prize. 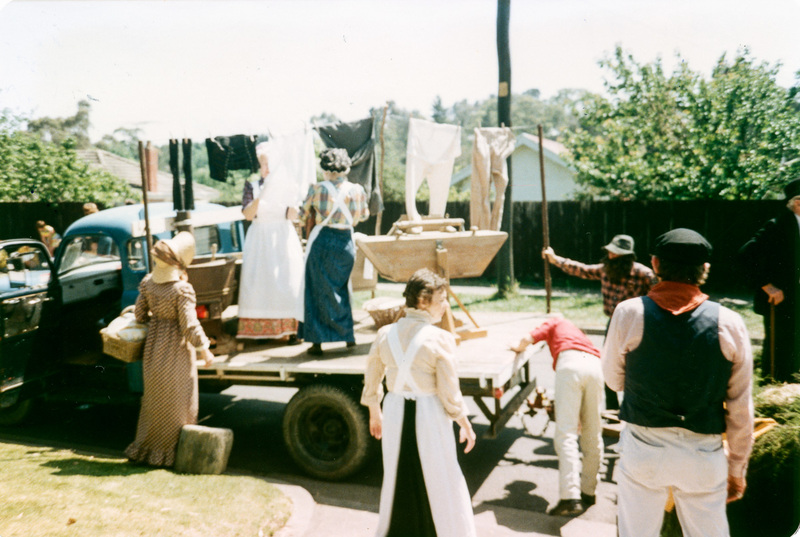 Each year the Society endeavoured to undertake a unique theme for the parade float and display and today we time travel back 30 years to November 7th, 1987 when our float with its colonial washing day theme won the trophy for the best display. The display was installed on Bruce Ness’ truck using a number of larger implements owned by or available to the Society such as an early washing machine, troughs, copper and mangle. Joh Ebeli and Russell Yeoman set up further items on a trailer loaned by Denis McKay. 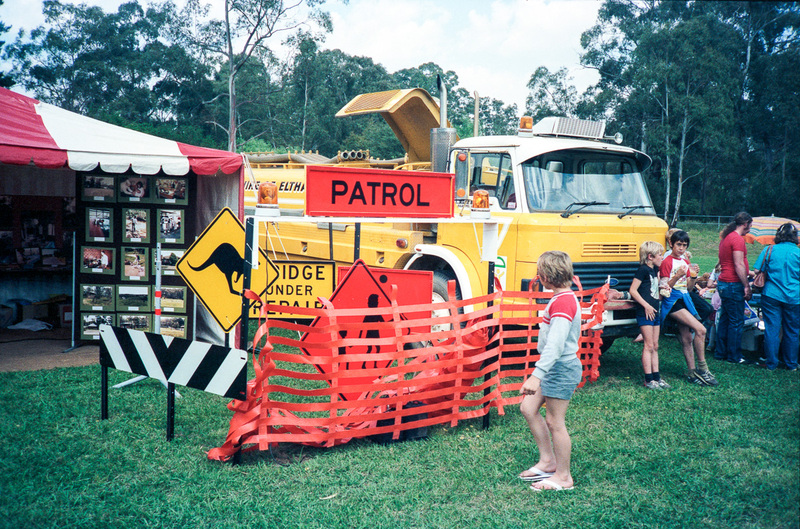 (Many of these items are now part of the Andrew Ross Museum at Kangaroo Ground.) Members came dressed in appropriate period costume and musicians from the Victorian Folk Music Club who regularly accompanied the Society on the float again joined us in the Parade with their lively music, assembling in Cecil Street at 11.30 a.m. prior to the start of the parade at 12 noon. 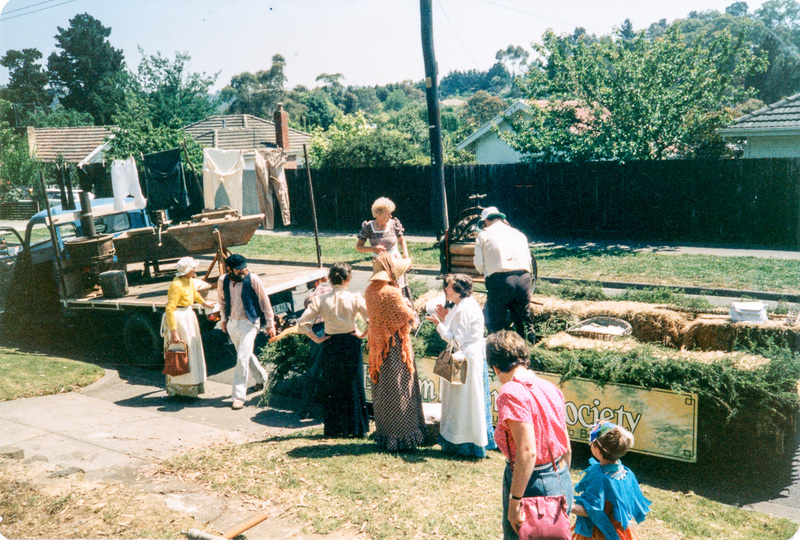 Setting up in Cecil Street prior to the start of the Eltham Community Festival Parade at 12 noon; 7 November 1987 (from the collection of Eltham District Historical Society). 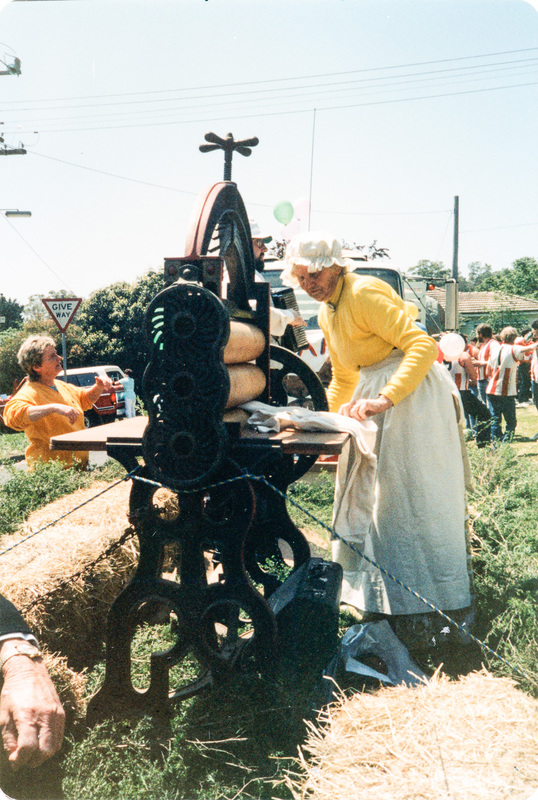 Flo Spicer setting up in Cecil Street prior to the start of the Eltham Community Festival Parade at 12 noon; 7 November 1987 (from the collection of Eltham District Historical Society). 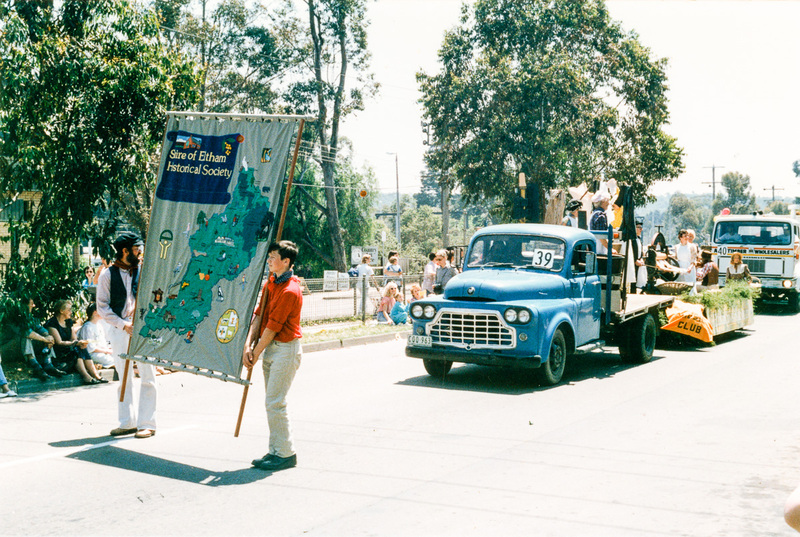 Russell Yeoman (left) and Matthew Smith carry the Society Banner ahead of the float driven by Bruce Ness in the Eltham Community Festival Parade, Main Road, Eltham; 7 November 1987 (from the collection of Eltham District Historical Society). 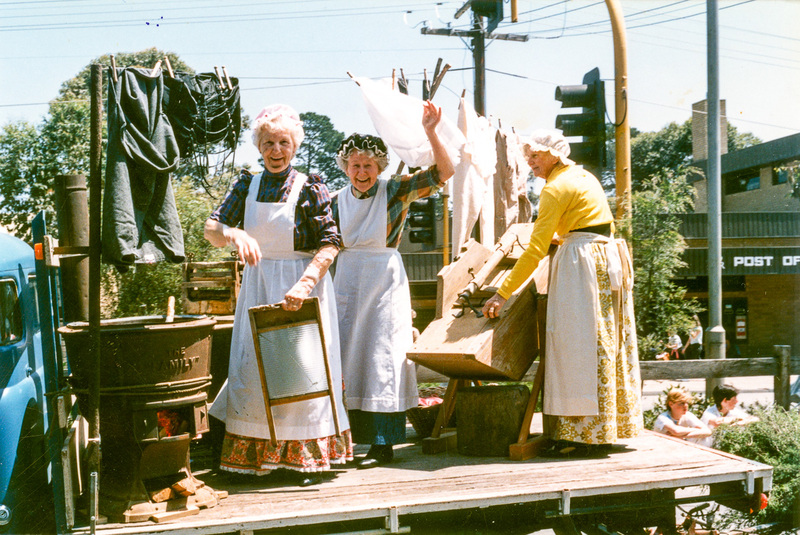 Society members Opal Smith, Eileen Gibbon and Flo Spicer, Eltham Community Festival Parade, Main Road, Eltham; 7 November 1987 (from the collection of Eltham District Historical Society). 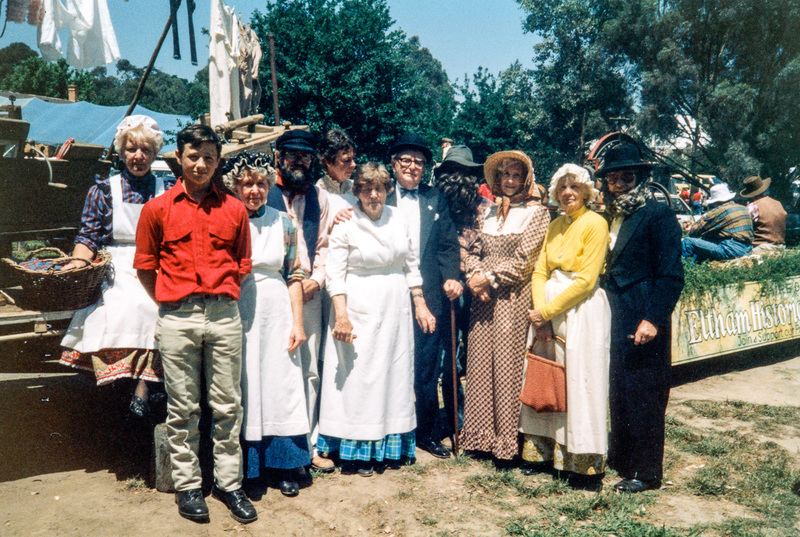 Society members Sue Law (President) and Garnet Burges, Eltham Community Festival Parade, Main Road, Eltham; 7 November 1987 (from the collection of Eltham District Historical Society). 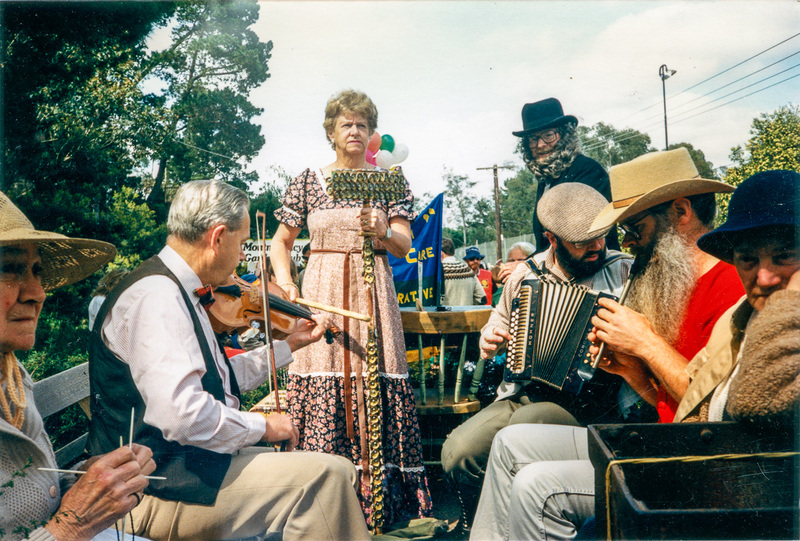 Society member Sue Law and members of the Victorian Folk Music Club, Eltham Community Festival Parade, Main Road, Eltham; 7 November 1987 (from the collection of Eltham District Historical Society). 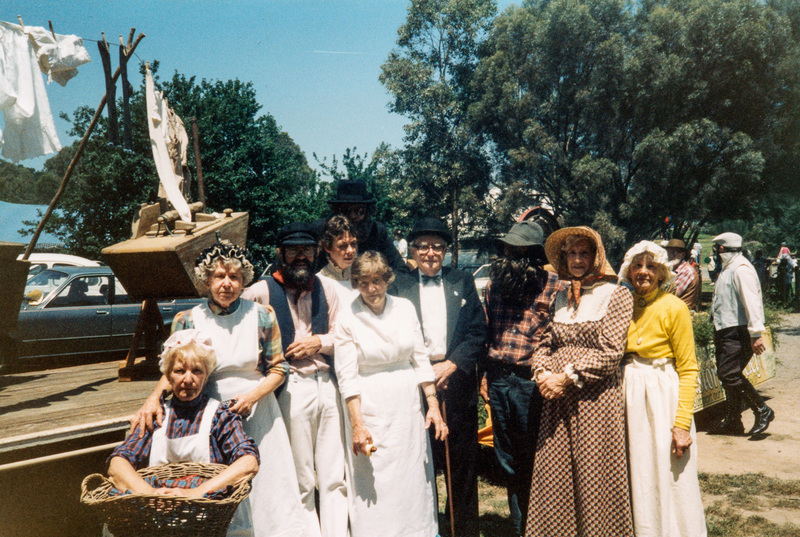 Members of the Victorian Folk Music Club, Eltham Community Festival Parade, Main Road, Eltham; 7 November 1987 (from the collection of Eltham District Historical Society). 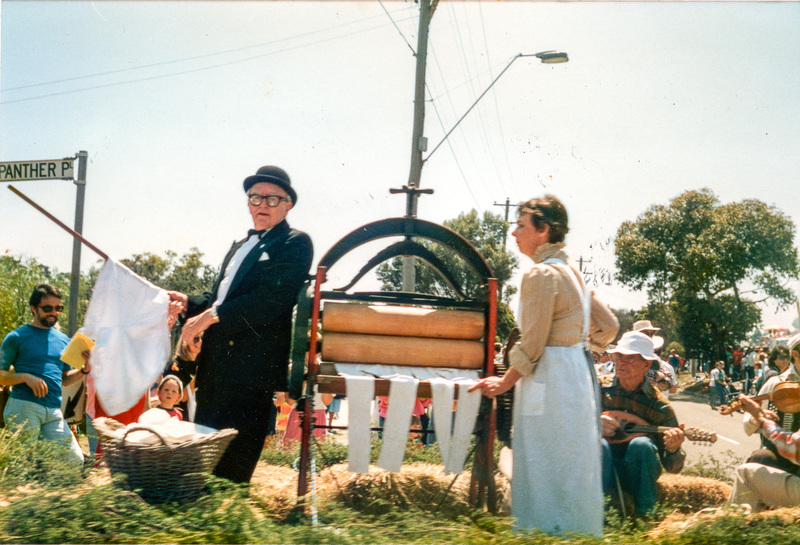 Russell Yeoman (left) and Matthew Smith carry the Society Banner past the Shire Offices and Catholic Church ahead of the float driven by Bruce Ness in the Eltham Community Festival Parade, Main Road, Eltham; 7 November 1987 (from the collection of Eltham District Historical Society). 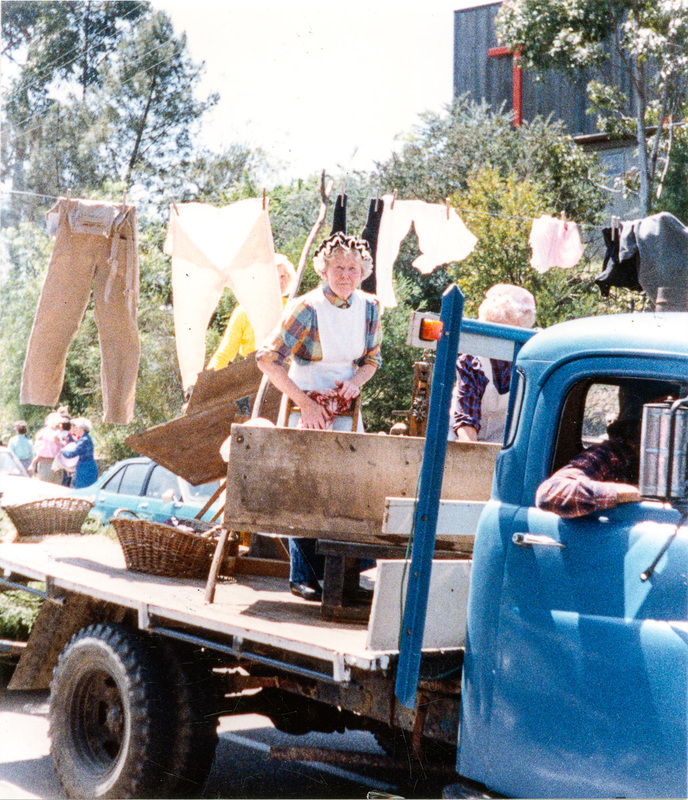 Society member Jock Read bringing up the rear guard in the Eltham Community Festival Parade, Main Road, Eltham; 7 November 1987 (from the collection of Eltham District Historical Society). 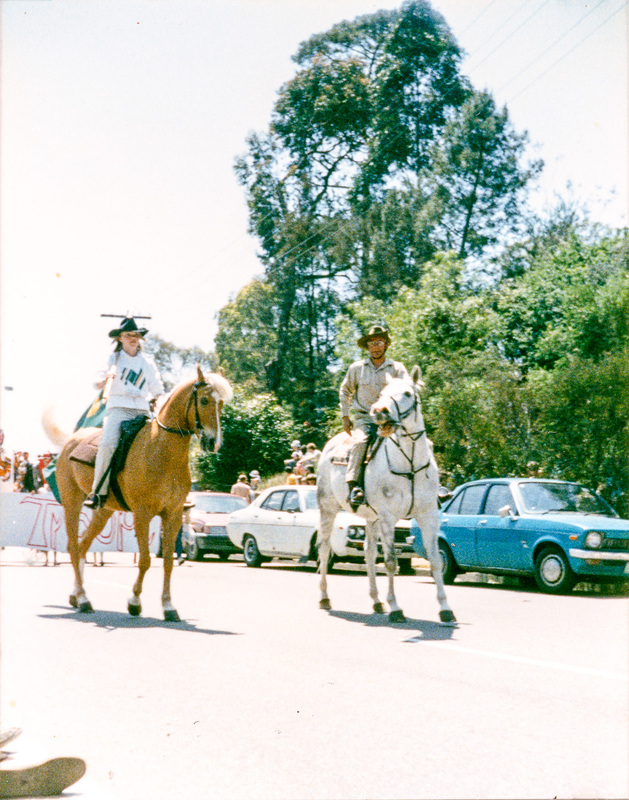 The parade enters Panther Place; Society members Sue Law (President) and Garnet Burges, Eltham Community Festival Parade, Main Road, Eltham; 7 November 1987 (from the collection of Eltham District Historical Society). 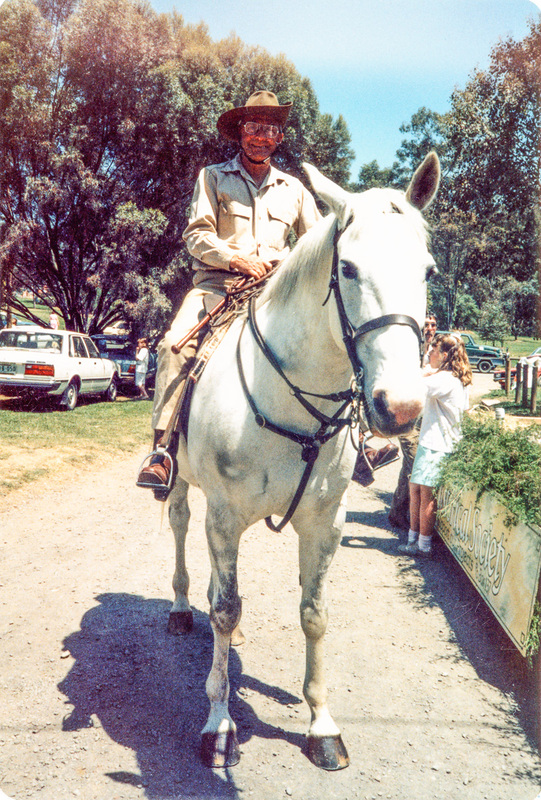 Jock Read at the end of the parade beside the Society float/display, Eltham Festival Community Parade, 7 November 1987 (from the collection of Eltham District Historical Society; photo: Joh Ebeli). 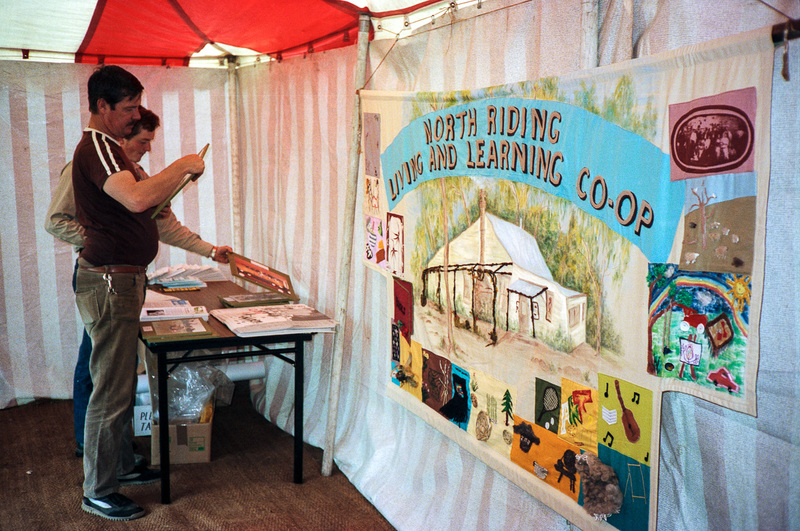 Shire of Eltham display, Eltham Community Festival, 7 November 1987 (from the collectuon of Eltham District Historical Society). 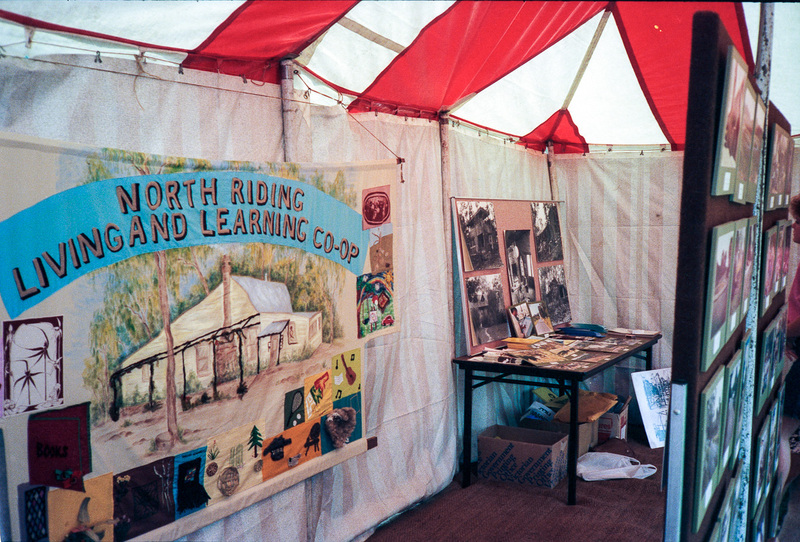 Shire of Eltham display, Eltham Community Festival, 7 November 1987 (from the collectuon of Eltham District Historical Society). 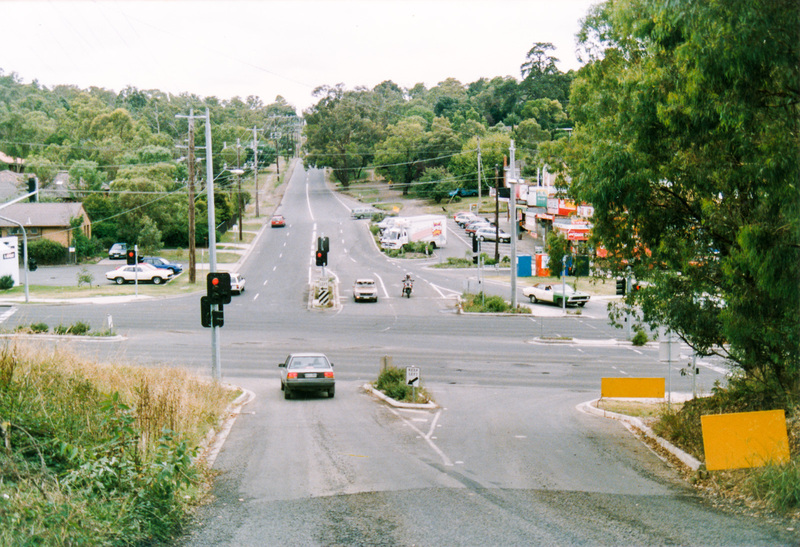 Many of these display photos are now part of the collection of Eltham District Historical Society. 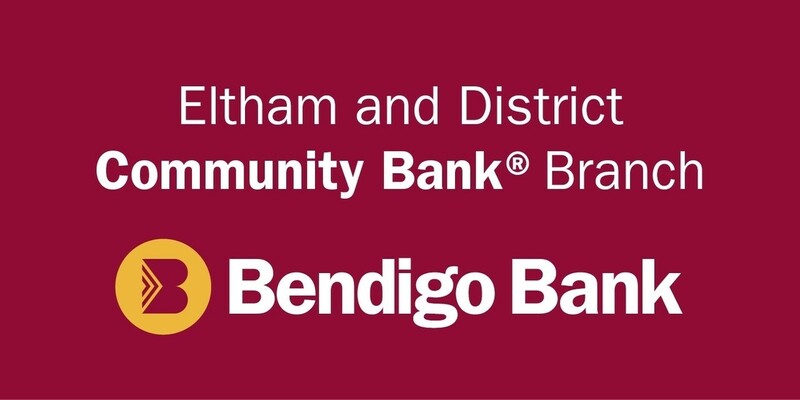 Come join Eltham District Historical Society on a walk to follow the boundaries of the original Shillinglaw Farm in central Eltham. Meet at 2.00 pm in Panther Place Eltham, outside the Eltham Library (Melway Map 21 J5). The Shillinglaw Farm comprised Lot 90 of Holloway’s 1851 Little Eltham subdivision. 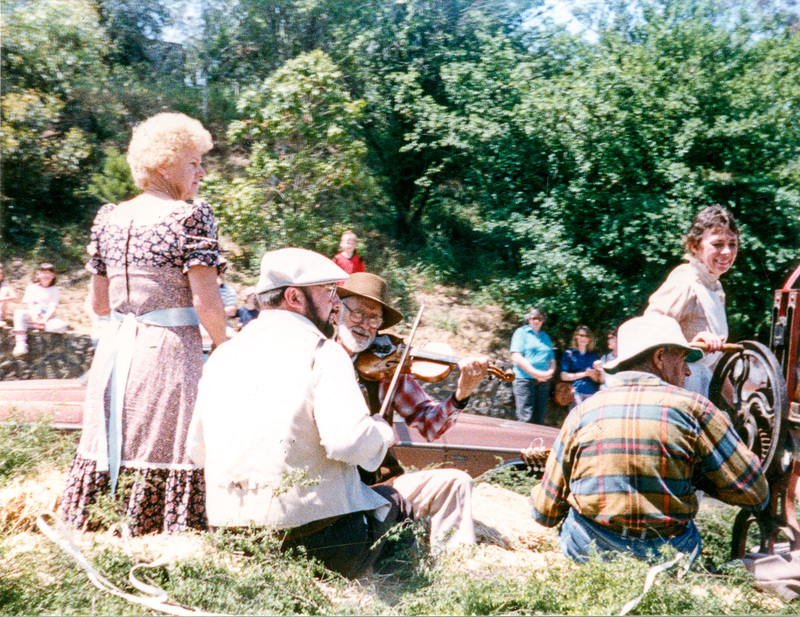 It was originally 30 acres in area and situated east of the Diamond Creek and north of Henry Street. This short walk will include a number of stops to look at early photographs and maps to illustrate the gradual reduction of the Shillinglaw Farm, as well as the early history of the adjacent railway. 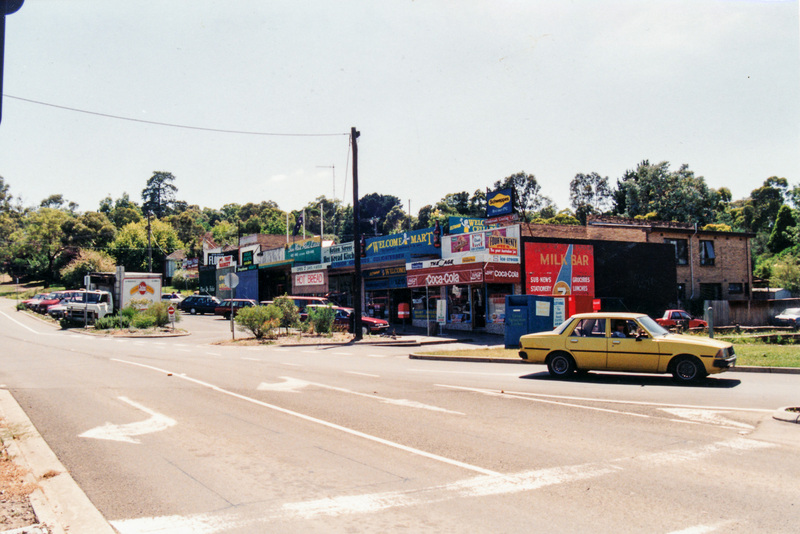 It will also include many photos of the Eltham Town Centre. who might like a coffee or something else. 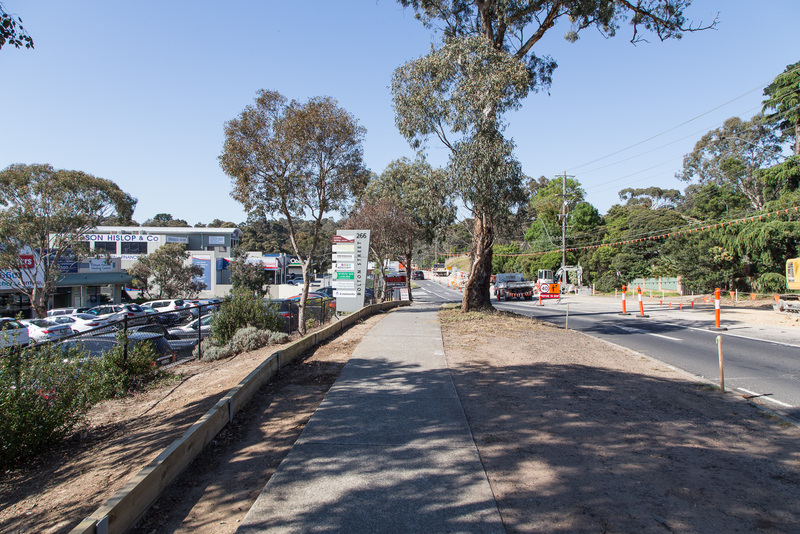 This free walk is open to the general public as well as Society members. 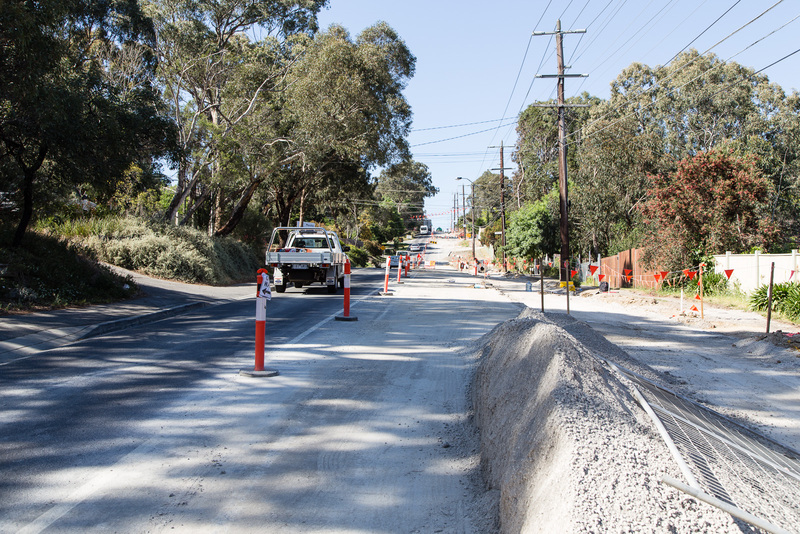 Phone number for contact on the day is 0409 021 063. 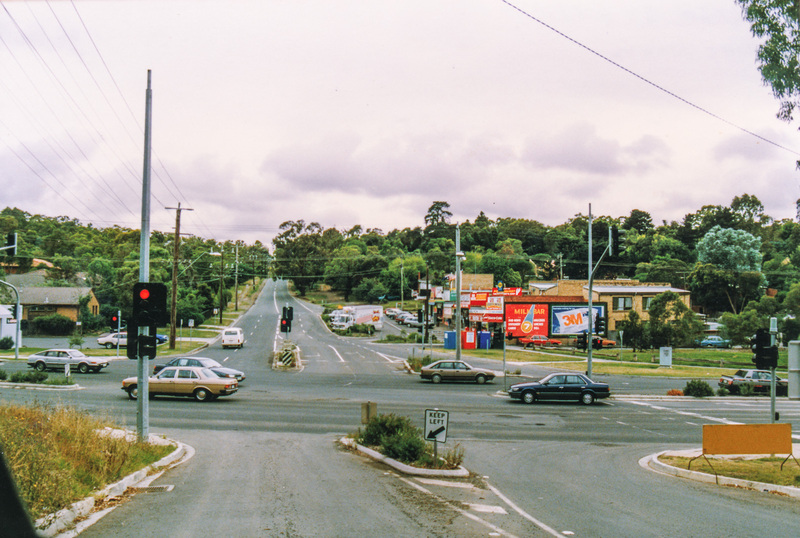 #ThrowbackThursday – Today we time travel back to the turn of the millennium to December 1999 to the corner of Bible and York streets, Eltham, specifically 68 Bible Street. Here we find a small cottage originally built in 1880. 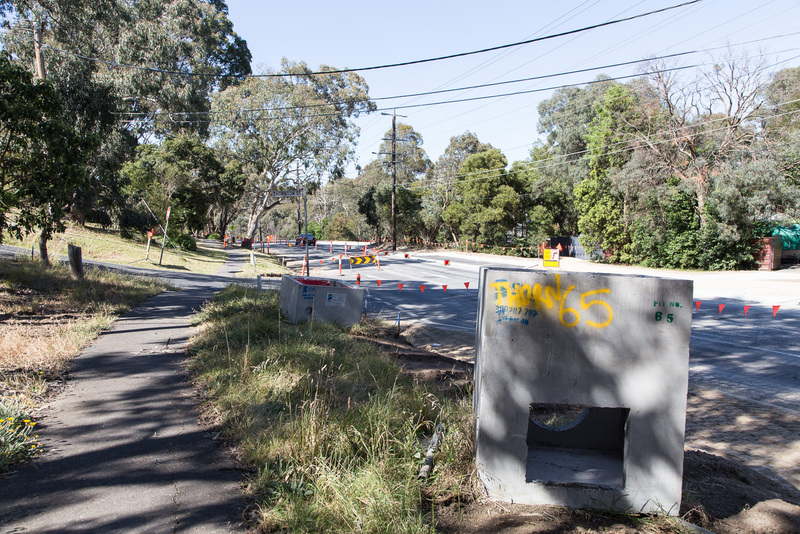 In the 1930s it was owned by the then Roads Foreman for the Shire of Eltham, Mr. L. Burke. Originally the house was built with a galvanised iron roof but over the years was modernised with a tiled roof as well as an extension to the rear. 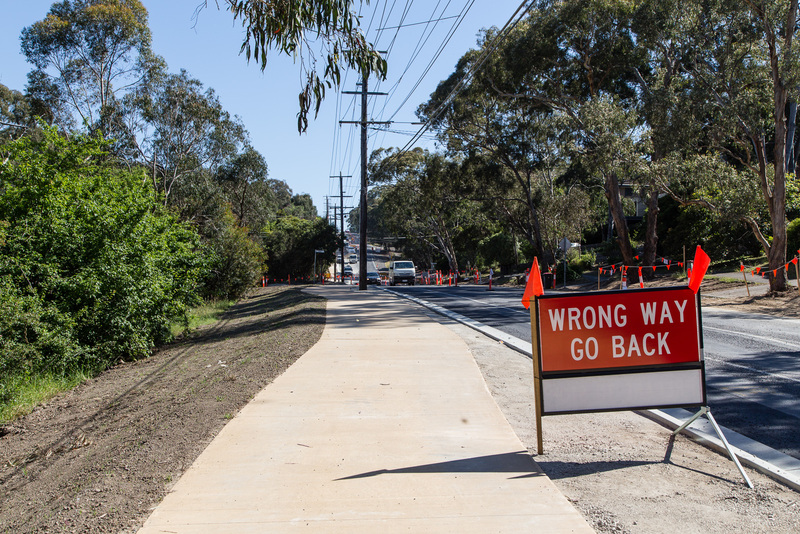 This particular photograph forms part of a Millennium project undertaken by one of our Society’s members, a descendant of the original Shillinglaw family who had become concerned at how the pre 1960s parts of Eltham were disappearing. 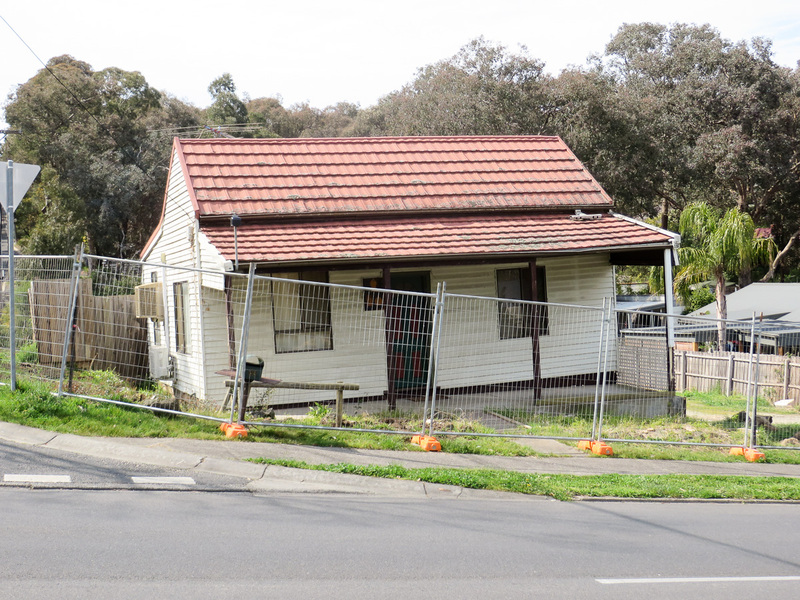 She wanted to record as many of the older houses in the Eltham township area before they were lost forever. Many of the streets running between Main Road and Bible Street were photographed and these films are currently being digitised. And indeed it is staggering the level of change that the developed landscape has undergone even since 2000. 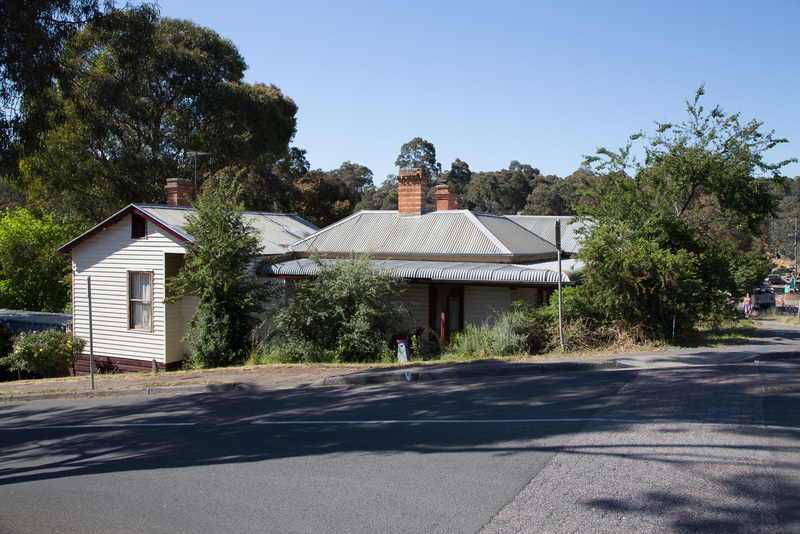 The property history report for 68 Bible Street reveals in more recent times it was sold in January 1994 for $38,000 but quickly turned over just four months later in May 1994 for $25,000 – that must have hurt. 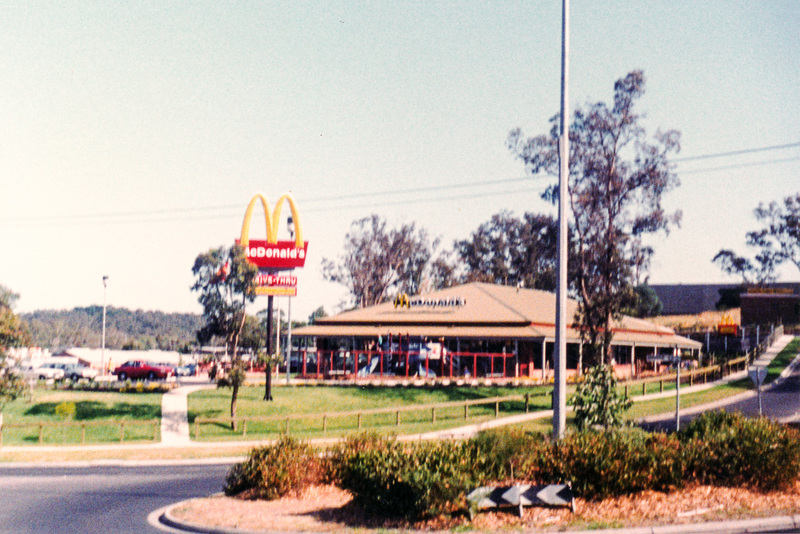 The next recorded sale is in June 1999, just before this picture was taken when it sold for $129,950. Ten years later in April 2009 it achieved $272,000 and again sold just four months later in August 2009 for an undisclosed price. 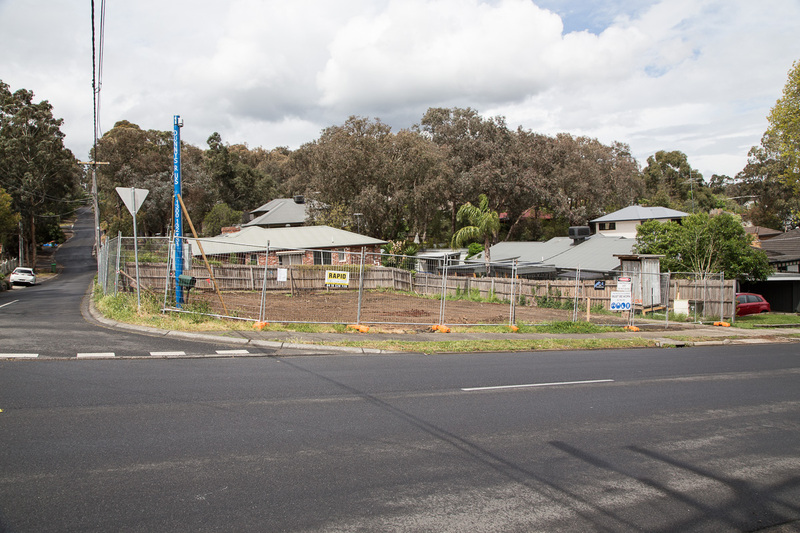 In 2010 a building permit was issued to reblock the house and in May of 2013 it was leased out at $300 per week. 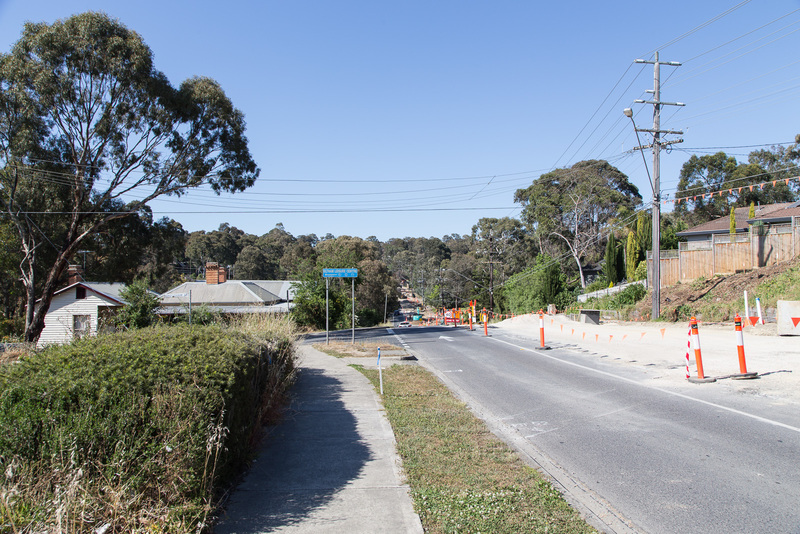 In July of this year, Council issued a building permit for demolition of the existing dwelling, shed’s and associated garage and the construction of a double story dwelling, garage, decks, alfresco area and retaining walls. 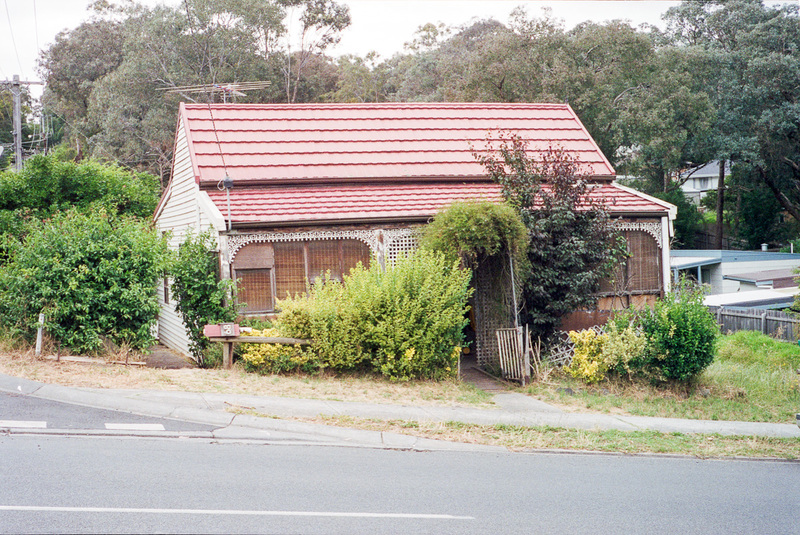 68 Bible Street, Eltham, 22 September 2017 (from the collection of Eltham District Historical Society). 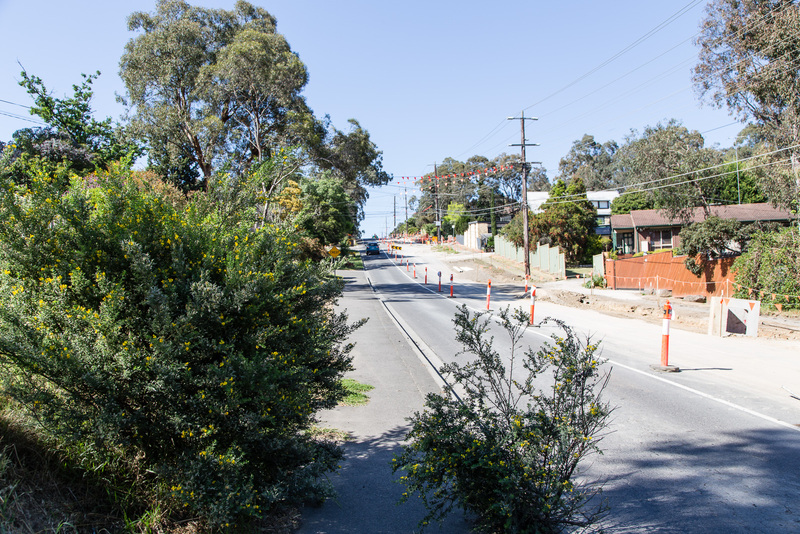 By September the trees and shrubs had been removed and construction fencing erected around the property. 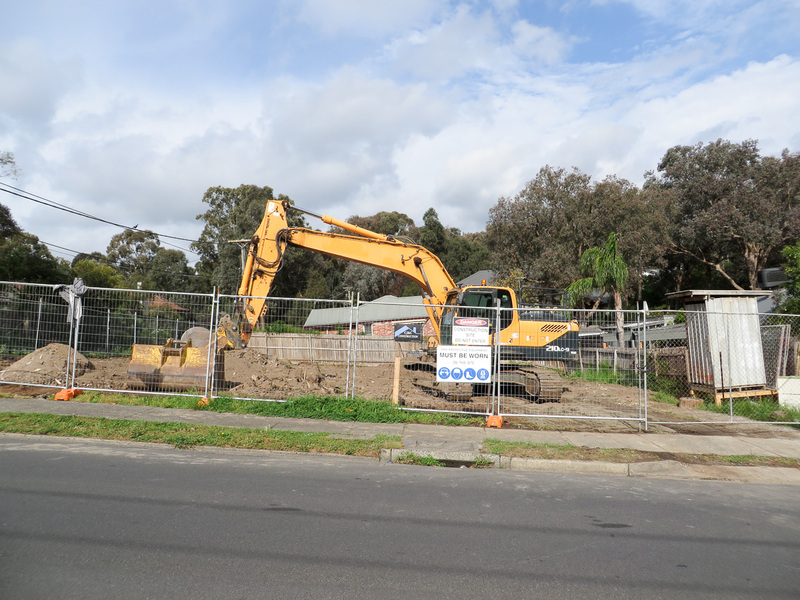 The house was demolished on 19-20 October 2017. 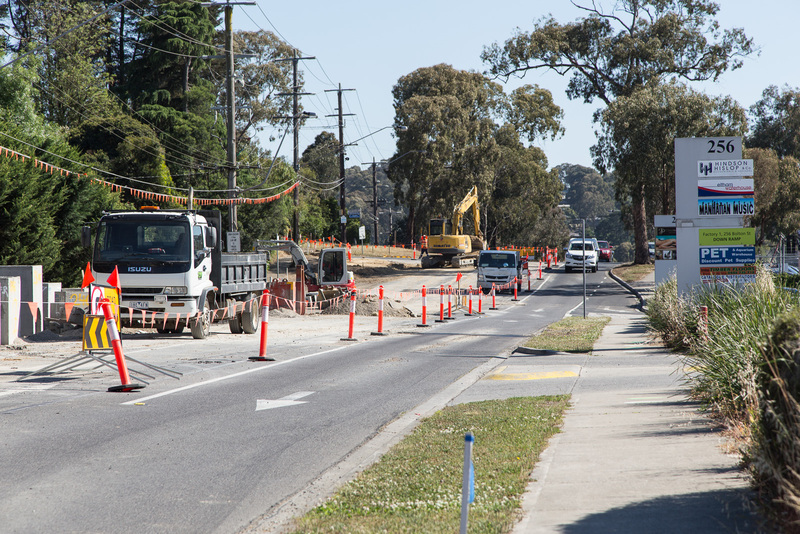 Photo taken 25 October 2017 (from the collection of Eltham District Historical Society). 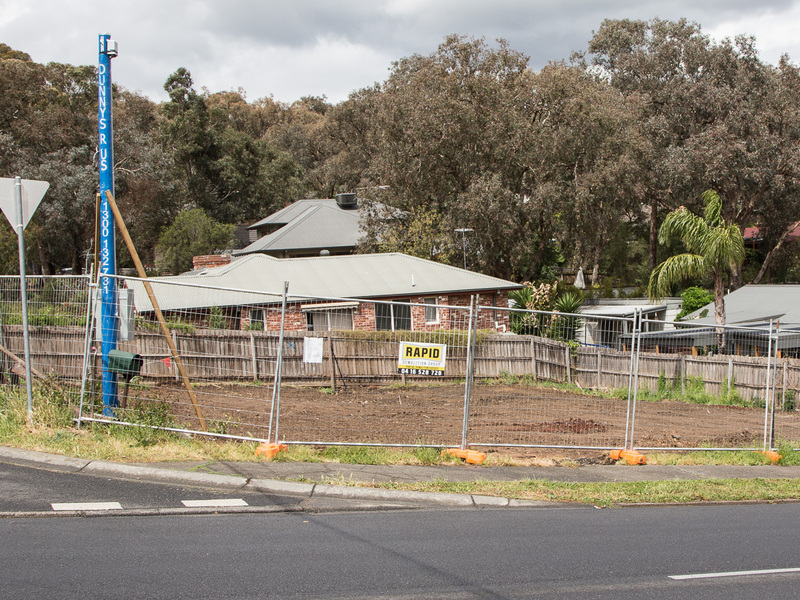 Between October 19 and 20, the 137 year old cottage was flattened and Eltham lost another little piece of its history but hopefully not its story. 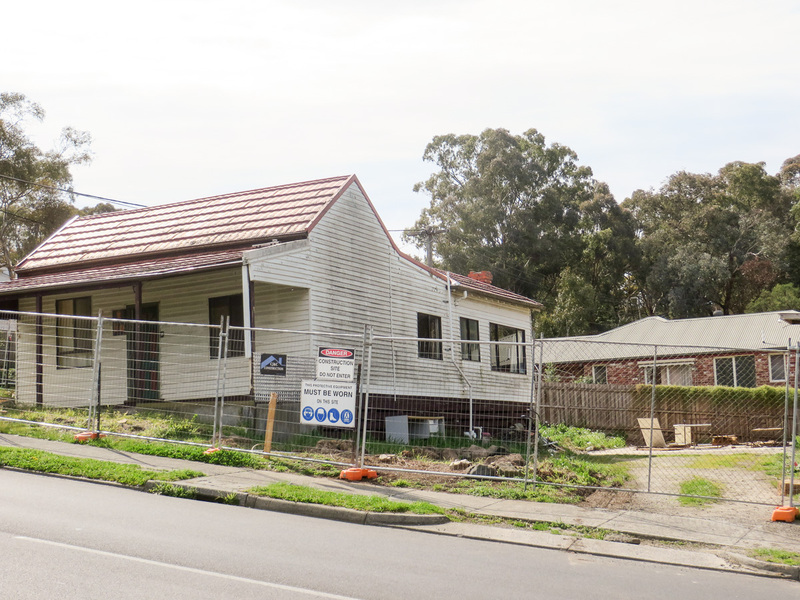 68 Bible Street, Eltham, 30 October 2017; awaiting a new beginning (from the collection of Eltham District Historical Society). 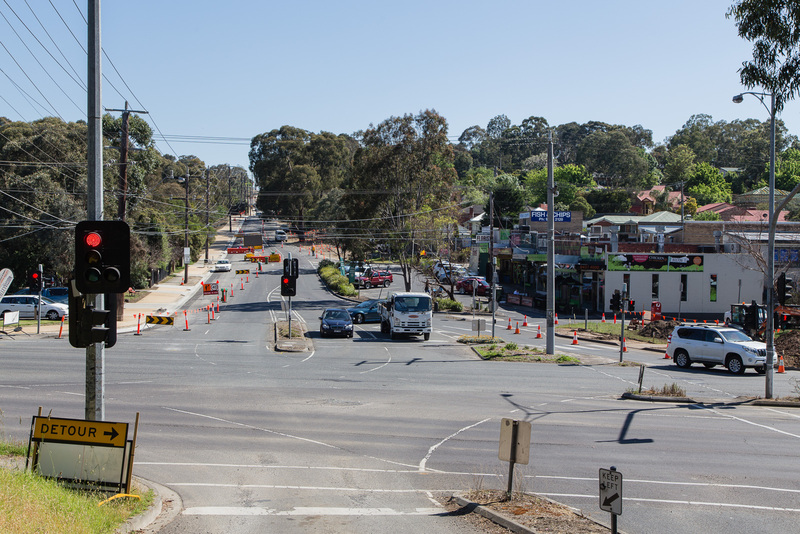 Some of us were born here, some of us chose to move to Eltham because of its character. That character is changing before our eyes, faster than at times is appreciated. Just because something has always been there during our time does not mean it will remain so. What exists today could well be history tomorrow. This is not a protest about one little cottage; times change. 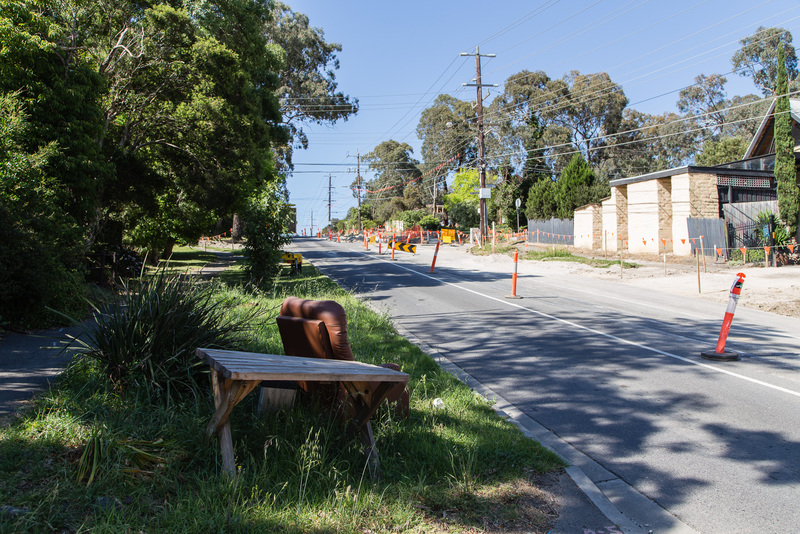 Not everything old is necessarily significant but it is still part of our community’s history and history matters. Rather this is a call to be on the lookout for other old homes that may one day also be potentially under threat and to photograph them and record their history before they are lost forever. 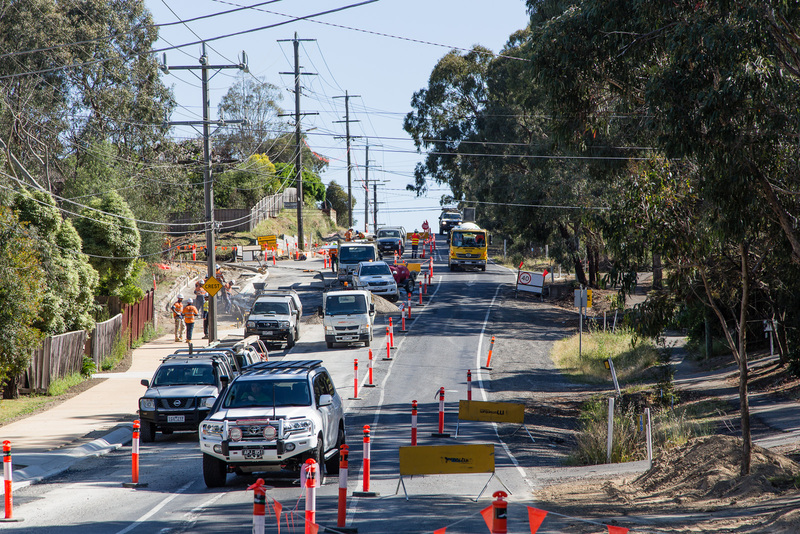 Eltham District Historical Society is happy to receive all such photos and information in order that we may preserve the legacy of what came before so that our future generations are able to appreciate and understand their roots. 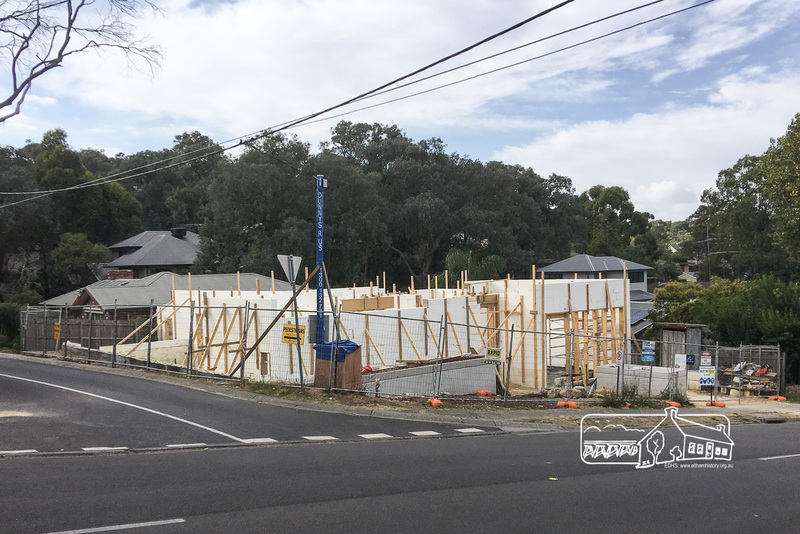 Of course, it’s also interesting to capture construction progress of new buildings as one day what we see now will be hidden by facade materials – new today, history tomorrow.